If you have always wanted to make the clothes that YOU envision in your head, here is your chance! In this class we will begin with drafting your own basic patterns for a T-shirt, skirt, and shift dress based on the measurements of your unique body. Then you will learn how to take those patterns and stylize them into endless variations. For each of the three styles, you will make a muslin, fit and correct your pattern, and finally sew a finished garment. Before you know it, you'll have a whole new wardrobe! Participants should feel comfortable using a sewing machine and at least be competent beginner-level sewers. Intermediate and advanced sewers are also welcome and can take on more challenging projects. No previous pattern-making experience is necessary. Cal Patch has been a maker since she was a Girl Scout in the seventies. 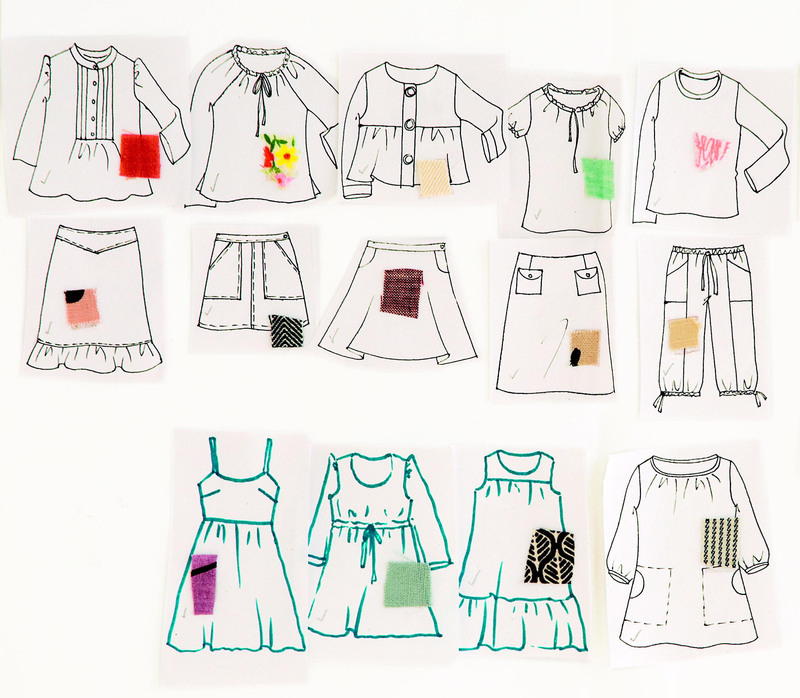 She sews, crochets, spins, embroiders, knits, prints, drafts patterns, dyes… hence the name of her label: Hodge Podge. Cal has taught all of these subjects for the past ten years and loves showing people new skills. She designed clothes for several big names in the fashion industry before leaving to forge her own path as an independent artisan and create one-off handmade pieces. Cal owned a boutique in Manhattan and later opened one of the first indie craft schools in 2002. After seventeen years of designing clothes in New York City, she recently relocated to the Catskills, where she is becoming a crafty farmer. Her book on drafting sewing patterns, Design-It-Yourself Clothes, was published in 2009. Currently she teaches at various shops, studios, and retreats around the country and sells her work at craft fairs and online in her Etsy shop. You can see what she's up to at hodgepodgefarm.net. Making one's own clothing is an act which can be practical and utilitarian, or whimsical and decorative. I tend to fall somewhere in the middle, and ultimately I like to print, dye, embroider, crochet, and stitch all on the same garment. These hand-wrought techniques cannot possibly be reproduced when clothes are manufactured in bulk. Somewhere along the line, clothes-making veered off the path followed by other crafts (pottery, woodworking, metal smithing) which were also originally born of domestic necessity, and turned into the artificial industry of "fast fashion", which revolves around seasonal trends, and thus inevitable obsolescence, creating a culture of cheap "disposable couture", which is flooding the planet with waste. I prefer to think of handmade clothing pieces as lifelong artifacts that will age, evolve, become worn and mended, and hopefully be passed down and worn by future bodies. I love sharing the principles of pattern-drafting, which allow people to make the garments they imagine, garments that will fit their own form as store-bought ones never do. There is a movement called Slow Cloth which encourages a return to artisanal, ethically made clothes, and by teaching these skills I hope to increase awareness and appreciation of this concept.